US warns against travel to Egypt Jump to media player The US has warned Americans not to travel to Egypt and has told non-emergency diplomatic staff to leave, as clashes continued in the country. 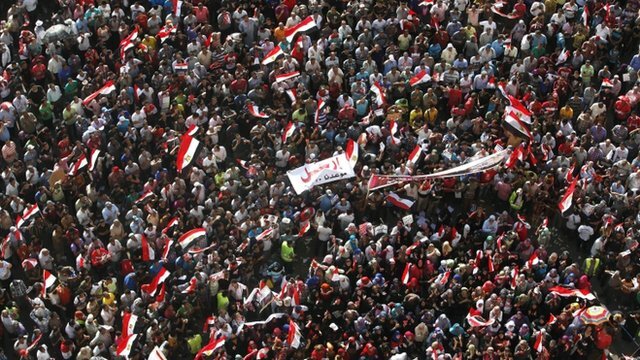 Thousands gather for Egypt protests Jump to media player Thousands of supporters and opponents of the Egyptian president stage rival rallies, two days ahead of mass protests planned by the opposition to call for Mohammed Morsi to step down. 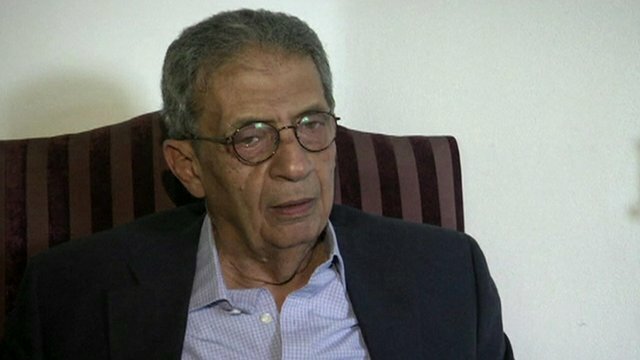 'Morsi should listen to the people' Jump to media player A leading Egyptian opposition figure has urged the country's president to listen to the voices of the country's people and hold early presidential elections. 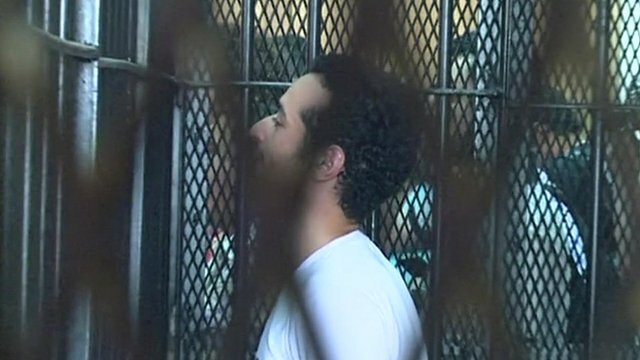 Politics tears Egyptian families apart Jump to media player Egypt is bracing for rival mass demonstrations, amid tight security in the increasingly polarised nation. 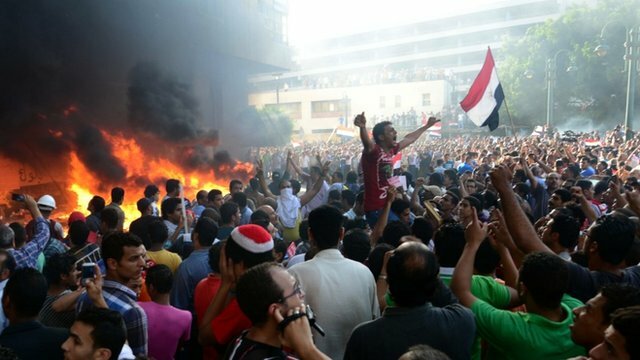 One dead amid violence in Egypt Jump to media player There have been violent clashes in Egypt as demonstrations took place both in support of and against President Mohammed Morsi. 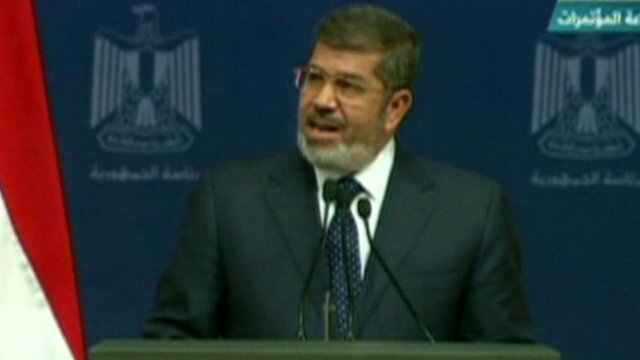 Egypt's leader: I made some mistakes Jump to media player Egyptian President Mohammed Morsi warns that continuing unrest is "threatening to paralyse the country'' and acknowledges making some mistakes. 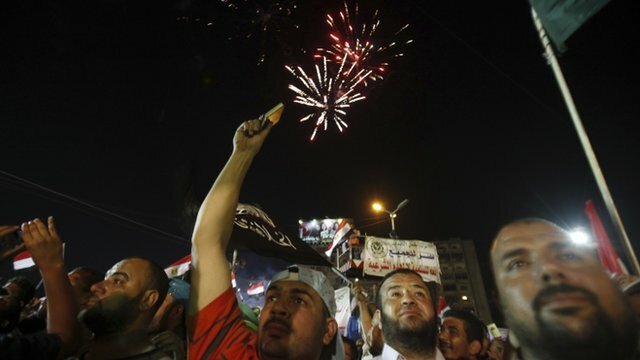 Protests calling for the resignation of Egypt's President Mohammed Morsi and early presidential elections are taking place in the capital, Cairo, and across the country. 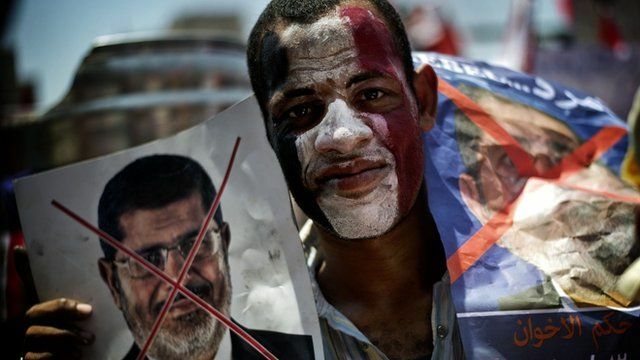 Opponents of the Islamist president are demanding his resignation but President Morsi has remained defiant, telling The Guardian that if he stepped down, it would only undermine the legitimacy of his successors.